If your not Familiar with them then head over to the shop to see the gorgeous Images. I have 2 cards to show you because i couldn't resist using both cute girls. Head over to the Challenge Blog to see what the rest of the Amazing Design Team have created. Beautiful!! Love the vibrant color and sweet image!! Gorjuss in Green! 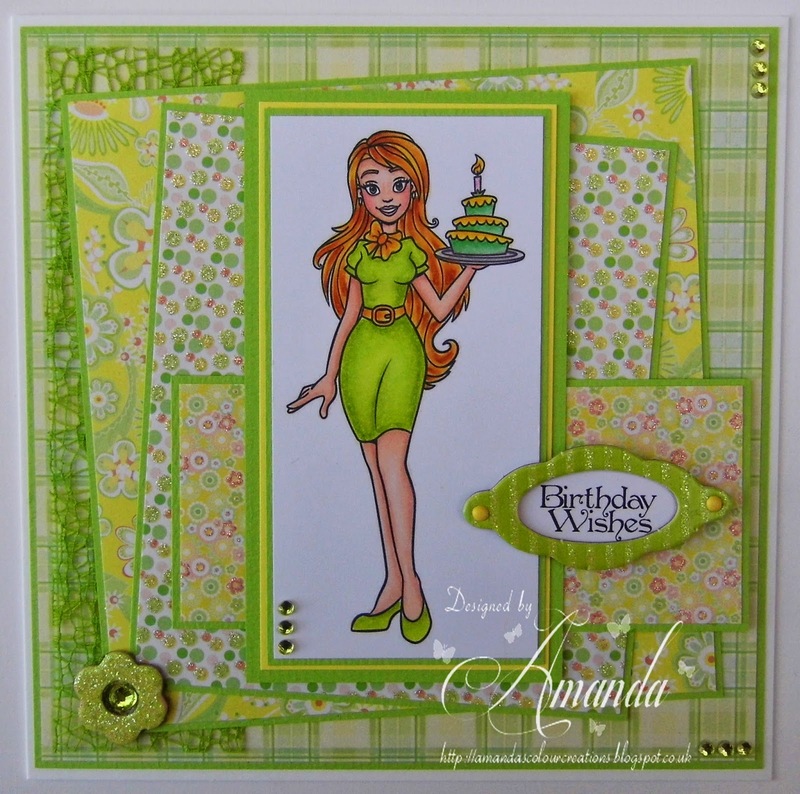 Two fab cards - fun, sassy and creative and love those layers! So glad you joined us for our Green Challenge at Digi Haven! Fabulous, love your bright colourchoise, different patterns and layers, And of course those fun images, :) Thank you for joining us at Charisma Cardz, good luck. Love your layers!! Both of these cards are great.. Love the images!! And all the accents you used!! Perfect!! Thanks so much for playing along with us at Delicious Doodles!!! Good Luck! I hope we see you again!! Love those gorgeous colors! Fantastic images, beautiful cards. Both cards are gorgeous and your colouring is stunning. thank you for sharing at SDD Challenge. Love these two cards! The images, papers, and designs are fabulous! Thanks for joining us at Cut It Up!